DOVER ATHLETIC COMMUNITY TRUST is the official charity of Dover Athletic FC. We are very pleased and proud to announce that DOVER ATHLETIC COMMUNITY TRUST has been incorporated and was awarded charitable status by the Charity Commission on 23rd August 2018. This is the next step in the evolution of Dover Athletic’s community initiatives. As a result of the football club’s membership of the National League the new trust is affiliated to the National League Trust, who in turn are supported by the respective Premier League and EFL Trusts. The trust will deliver creative, innovative and diverse engagement initiatives using the power of Dover Athletic to motivate, educate and inspire people in communities to improve life chances. 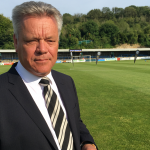 A board of trustees has been established to run the DOVER ATHLETIC COMMUNITY TRUST. The football club is represented by two members of the club board, being Jim Parmenter and the trust’s newly appointed Chairman, Simon Gretton. Our independent trustees are John Sheather (Treasurer), Vikki Pawley (Safeguarding) and Jade Jaenicke (Secretary). The team together bring a breadth of knowledge, excitement and expectation to make a real difference to our local community in Dover and the surrounding villages. We would like to offer a very special experience to all our current season ticket holders. 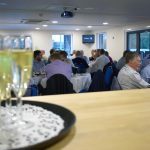 For our home game against Solihull Moors on Saturday 15th September 2018, we will be offering passes to the new VIP Platinum Suite for only £20, yes, only £20, per person. Platinum Suite for only £20.00 per person. Only current season ticket holders can purchase these passes, but there will be no limit on numbers and they can be purchased for non-season ticket holders to attend with the purchaser. We very much look forward to wecloming as many of you as possible to experience the new facilities at the club. 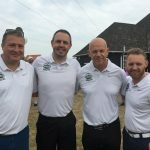 A team representing Dover Athletic hit the fairways and greens of Canterbury Golf Club in aid of Donations With A Difference, a charity run by six voluntary trustees, one of which is the club’s Finance Director, Simon Gretton. We are proud to announce that as the new season starts it will also welcome in the inception of the Dover Athletic Community Trust. The trust will host a few events to launch and raise funds explicitly for the community initiatives of the next 12 months. One of these will be our first DACT Charity Golf Day at Canterbury Golf Club.on 11th September. Looking for ideas to keep your children active in the summer holidays? Then why not book them on to one of the three Happy Feet Soccer School coaching camps we are hosting at Crabble. 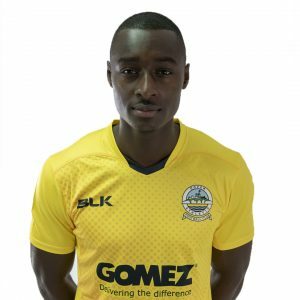 Play-off chasing Dover will be aiming to continue their impressive home record against the Heed in front of a bumper Community Day crowd this weekend. Chris Kinnear’s men have won three consecutive matches against the Tyne & Wear side at Crabble since promotion to the National League in 2014. Gateshead are yet to score at Dover’s ground in three attempts, although Athletic boss Chris Kinnear will be wary of two of Gateshead’s dangermen this weekend. Strikers Jordan Burrows and Danny Johnson have scored 10 league goals apiece this season for Steve Watson’s team. 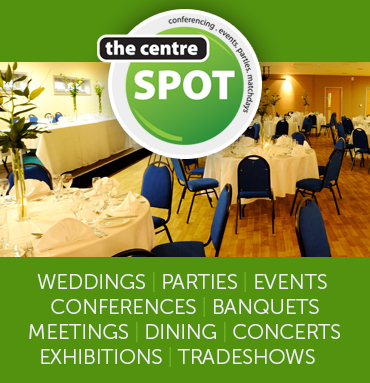 The Dover Athletic end-of-season awards presentation will take place in the Centre Spot at 5.15pm. Scott Rendell’s strike just before half-time was enough to send the Shots up to third in the table. The striker pounced on Jim Kellerman’s dangerous cross to fire in the game’s only goal. Gary Waddock’s men had already hit the woodwork twice, including visiting keeper James Montgomery touching Matt McClure’s long range strike onto the post. McClure blazed over as Town tried to extend their lead, but the home side held on to claim the three points. 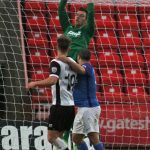 Dover stayed top of the league ladder after battling to a goalless draw in windy conditions at the International Stadium. Luke Hannant struck the bar once in each half for the hosts as Kinnear’s men held on for a point in Gateshead manager Steve Watson’s first home game in charge. With the wind in their favour before the break, Heed midfielder Hannant blazed over and Jordan Preston dragged wide, with both efforts coming from outside the area. Bird blazed over Mitch Pinnock’s accurate cross from close range, but it was Gateshead who went closest midway through the half. 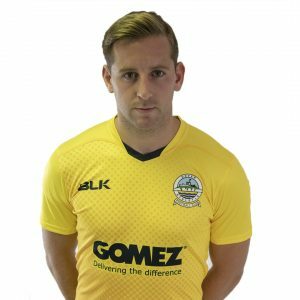 Paddy McLaughlin’s ball into the penalty area found Hannant in space and the midfielder’s volley looped over Mitch Walker and bounced off the underside of the bar into the grateful arms of Dover’s keeper. Hannant then struck an effort inches past the wrong side of the post and in a rare Athletic attack at the other end of the pitch, Pinnock fired into the side-netting after beating Newcastle loanee Callum Williams for pace. An unmarked Giancarlo Gallifuoco headed Mitch Brundle’s corner well wide and Dover’s skipper then curled a free-kick into Dan Hanford’s arms. And Whites were almost flying back home to Kent without a point after Gateshead hit the woodwork for a second time. Hannant rose highest to meet Jordan Burrows’ cross, but his header struck the crossbar and bounced out of play, much to the relief of Walker. There is a coach going to Woking at 9:15am on Saturday 28th April and it’s not too late to book your seat on it. Please call or text Andy on 0793 4300335 to book. Please note you are now required to pay for your seat in advance by cash or via bank transfer. Thinking of ideas to keep your children active in the Easter holidays? Why not book them on a Happy Feet Soccer School coaching camp at Crabble. Two camps have been organised and bookings are subject to availability and places are only guaranteed upon receipt of full payment – so get in quick! The price is £15 per child, per day. Post to Vikki Pawley, Dover Athletic Football Club, Crabble Athletic Ground, Lewisham Road, River, Dover, Kent CT17 0JB but please DO NOT send cash in the post. In person to the club office at Crabble – Office opening times are Monday to Friday 9am – 4pm. To one of our community staff at the Saturday morning Happy Feet football sessions. You will be notified by email or text message once your booking is successful. Payments by debit or credit card will have a charge of 50p. Children should arrive no earlier than 9.50am for registration on the day and they will need to bring a packed lunch and drinks. Shin pads must be worn at all times. Spare/warm clothing is advised should we have bad weather as well as sun cream and a hat should the weather be sunny. There will be a ‘tuck shop’ available at lunch time. I can announce that I have now submitted our full application for membership to the English Football League (EFL) as I believe we now meet all of the required criteria and await their response in the near future. The position we are in is the culmination of 12 years hard work and major investment into our Crabble stadium. 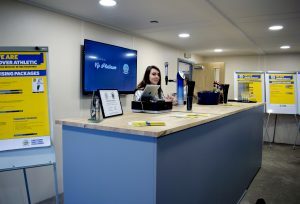 In the last two years you have seen a new Family Stand, containing dressing rooms and official’s facilities that fully meet requirements, as well as the safety control room, the installation of over 50 cameras, renewal of our public address system and the inclusion of our disabled viewing platform with lift. This was followed by new floodlights to provide the LUX values required by the EFL and a new executive lounge with a new entrance behind the Centre Spot to provide much needed VIP facilities. The latest addition, finished only last week, are new safety barriers required because if promoted we will not be able to use the flat standing areas behind the goals. The barriers were required to increase capacity to the terraced areas in order to meet minimum membership requirements for the EFL. With the exception of the grant for the family stand, these improvements have been largely financed by myself and my wife Sally with a little help from sponsors, but could not have been achieved without a great deal of practical help from, in particular, Neil Cook and John Heath – my sincere thanks to them. I would also like to thank our Consultant Engineer Simon Oakley and Mark Duly from Kent Fire and Rescue for their assistance. It has also been a challenge to ensure we have medical staff with the required qualifications and we welcome back to the Club Paul Wilson as head Physiotherapist. Paul is eminently qualified and comes to us having obtained Football League experience. We now have a fantastic team of three Doctors led by Dr Cox and my thanks go to him Dr Gregory and Dr Cardwell for their support. I also welcome Chris Fudge who is now assisting us in the requirement for a trained Paramedic. Many of these requirements will no doubt be a surprise to the majority of supporters but the rules for membership are stringent and are rigorously enforced. Without compliance we would not be eligible for the play-offs, let alone promotion. Of course we are only in this position because of the fantastic exploits of our team on the pitch and the Management Staff. They deserve many accolades and these will be forthcoming as the business end of the season progresses. But most of all they deserve the support of the Town, so please get your friends up to Crabble to roar the Team over the line. It is a great pity that we now read that Chester FC are reporting financial difficulties and that they join Hartlepool United in facing an uncertain future. It is a mystery to me how a club receiving an £800,000 plus parachute payment can be in this position, but there we are. It is important to remind supporters of the financial reality of running Clubs at this level particularly when competing with the Clubs with larger bankrolls. In our case, we do not have the largest budget, nor do we have the smallest, but we have moved into a phase where some players are full-time and require 52-week contracts. We have to keep, our feet on the ground and not let the “red mist” descend or we will soon be in the same position as the Clubs mentioned above. So please, when discussing which player we should sign this week or next week try and consider where the money is coming from. There is no point having players to win things if the facilities mean that you can’t be promoted, several Clubs will experience that pain this year. To put into context the cost of watching football at our level and Dover Athletic in particular, an average gate receipt after deducting V.A.T. at 20% and match day costs will pay approximately half of that week’s wages, so all the other running costs plus a great deal of the wage bill rely on sponsorship and frankly my support. We want success and I know our supporters want success, but without income and people coming through the gates on a match day that task requires a massive leap of faith on my part. I ask everyone to try and do their bit you can all make a big difference if you can get just one person to join you on match days. Thanks for reading and best wishes to you all. It’s the second Community Day of the season at Crabble on Saturday and Whites will be aiming to win once again in front of a bumper crowd. The first such day saw 2,795 fans see Ryan Bird head home a late winner against Solihull Moors back in September and Chris Kinnear’s side go into the game unbeaten in six home matches. It will also be the first meeting between Dover and newly-promoted Fylde. The Coasters won the National League North last season and following a rocky start in non-league’s top tier, have hit form in recent weeks with five wins from their last six matches in all competitions. And this weekend’s clash also sees the division’s top two goalscorers take the field. Danny Rowe leads the way with ten goals, with Athletic’s Bird just one behind on nine. Danny Rowe’s brace saw AFC Fylde gain three points at the expense of the Gulls at Mill Farm. The home side had the lead when a poor clearance following Henry Jones’ corner fell for Rowe to slot in. Luke Young’s free kick almost had the visitors level, but the ball deflected off debutant Andy Mangan and onto the post. Rowe soon smashed in his second to put the game out of reach of Gary Owers men. There is a coach travelling to Bromley on Saturday 2nd December and it’s not too late to book a seat on it. Please call or text Andy on 0793 4300335 to book your seat, or see him in the Centre Spot after the match against Fylde. Preparations are in full swing for the club’s second Community Day of the season at Crabble on Saturday. We’ve given 50 tickets to each of the 42 schools in the Dover district who have asked for them to allow students to attend the day and savour the Crabble experience during the National League clash with AFC Fylde. Our first Community Day saw a bumper crowd of 2,795 attend the clash with Solihull Moors on September 30. To add to the celebrations, there will be FREE goodie bags for the children as well as FREE flags and balloons. A tremendous amount of hard work has gone into making the day another memorable one at Crabble. We look forward to welcoming you all to Crabble again.